CircleDance800x600: What is the Circle Dance? What is the Circle Dance? After pressing Spot, Clean or Max, my Roomba Discovery SE would lurch forward briefly, then immediately begin circling backwards (tight circles - not spirals), then stop and shut off. This guide shows how to disassemble it to clean the dirty optical encoders that create the "Circle Dance" condition. Please note that disassembling your Roomba like this will probably void the warranty. I accept no responsibility for your results or broken Roombas. You are on your own! These instructions are for the Roomba Discovery SE. They will definitely not work for the Roomba Red because the Red has a non-removable fender. 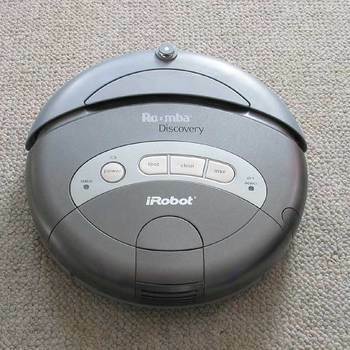 Roomba Red owners will need to be really bold and cut an opening in the fender to gain access.